Full Service Florist. Satisfaction Guaranteed. Family owned and operated for over 15 years. Specializing in funerals, weddings, and high style custom arrangements. Large selection of plants, stuffed animals, silks, trees and much more. Open and delivering 7 days a week. Serving all hospitals and funeral homes. Full Service Florist. In the heart of Las Vegas. Satisfaction Guaranteed. 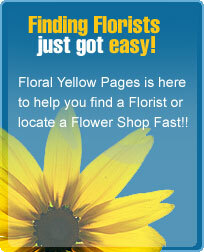 Family owned and operated with over 30 years of floral experience. Specializing in unique and high style custom arrangements. Our goal is to exceed our customers expectations with quality, care, and professional service. Family owned & operated for over 14 yrs. Full service florist. Satisfaction guaranteed. Corporate accounts welcome !! We have custom arrangements to satisfy everyone's taste & budget. We also carry fruit & gourmet baskets. Serving all hospitals & funeral homes.